Compliance Alert: San Diegos's new minimum wage rate of $12.00/hour takes effect on January 1, 2019, and requires an updated posting. 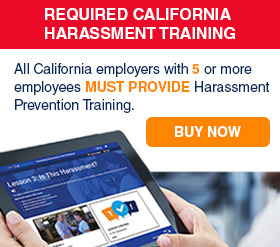 Do you have employees working within the geographic boundaries of the City of San Diego? Every employer must post the City's minimum wage and earned sick leave notices in a conspicuous place at any workplace or job site where any employee works. 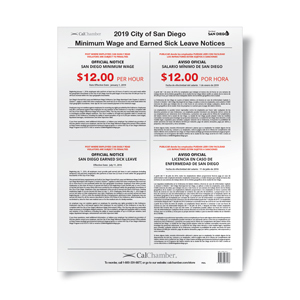 Employers who fail to comply with the City of San Diego's minimum wage and earned sick leave ordinance may be subject to administrative actions, penalties and civil actions. In addition to English, if at least five percent of your employees at a workplace or job site speak Chinese, Spanish, Tagalog, or Vietnamese, you must post the minimum wage and earned sick leave notices in that/those language(s).